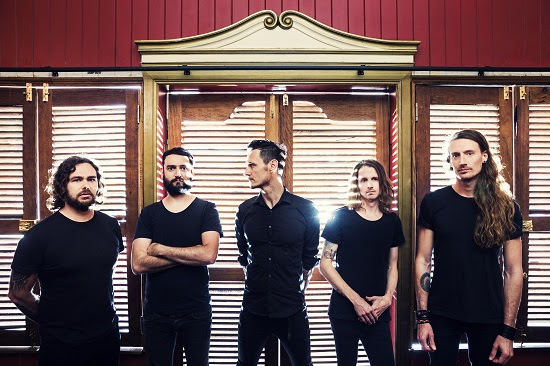 The band Dead Letter Circus immediately reminds me of is Silverchair — and not just because they’re both from Australia. And I’m not talking about Silverchair’s early work when they were more or less a Nirvana clone. I’m talking about Silverchair’s last three albums (Neon Ballroom, Diorama and Young Modern), all truly brilliant and eclectic alternative rock gems, some of the best albums released during the past 15 years. 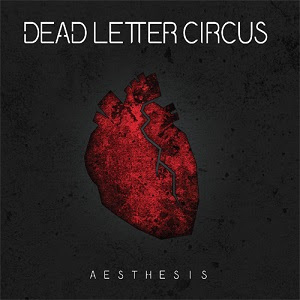 Likewise, album after album, Dead Letter Circus delivers top notch alt rock of the often experimental variety. With each release, DLC has managed to come up with new flavors never thought of before, shifting direction in ways that often zig zag from song to song as they veer left then veer right (or up or down — you get the idea). You never quite know where they’re going to go. The one thing you can count on is that they’re going to constantly evolve. The powerful ingredient that strings all of their work together is the sound of lead vocalist Kim Benzie’s passionate vocals, just as vocalist Daniel Johns of Silverchair wraps up all of his band’s work with a lovely bow. One thing these singers have in common is their tone, which might have a thing or two to do with their accents, although I think that’s just coincidence. What I especially love about their voices is how unmistakable they are, which is largely due to their ability to be emotive regardless of whether they’re singing heart-warming or heart-breaking songs. I suppose you might confuse one with the other if you’re not very familiar with their work, but, otherwise, you’re sure to recognize them. “And I hope that / One day / I will see you again,” sings Benzie — with sadness in his voice — as DLC’s new single, “In Plain Sight,” opens with acoustic guitars and a mellow vibe. It’s not surprising that the song bursts to life with heavy beats and fiery guitars once it hits the chorus, but the way the tempo slows down, if only slightly, is unexpected and brings a wow factor to the song. As it continues beyond the chorus, the boisterous, crashing drums continue, along with glimmering guitars, but the tempo remains somewhat faster during the verses., although the powerful chorus is arguably more intense. It’s an almost heavy metal style alt rock song that’s instantly memorable and sure to have you playing it again and again, being that it’s as addictive as chocolate, though more zesty than sweet. “In Plain Sight” is from DLC’s third studio album Aesthesis, released August 14 via The End Records/ADA. The album will be available on CD September 25.